The lowest price of The Power of Your Subconscious Mind (DELUXE EDITION) was obtained on March 14, 2019 8:09 pm. 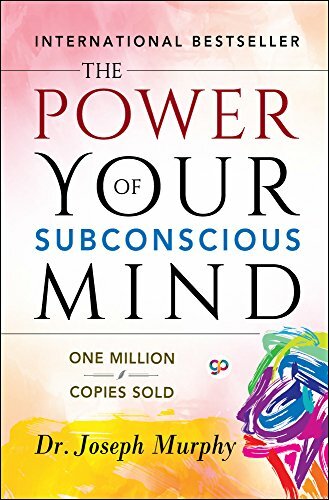 The Power of Your Subconscious Mind’ has been a bestseller since its first publication in 1963, selling many millions of copies since its original publication. It is one of the most brilliant and beloved spiritual self-help works of all time which can help you heal yourself, banish your fears, sleep better, enjoy better relationships and just feel happier. The techniques are simple and results come quickly. You can improve your relationships, your finances, your physical well-being. Dr Joseph Murphy explains that life events are actually the result of the workings of your conscious and subconscious minds. He suggests practical techniques through which one can change one’s destiny, principally by focusing and redirecting this miraculous energy. Years of research studying the world’s major religions convinced him that some Great Power lay behind all spiritual life and that this power is within each of us. 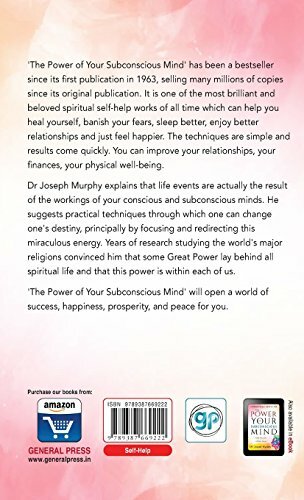 ‘The Power of Your Subconscious Mind’ will open a world of success, happiness, prosperity and peace for you. Joseph Murphy was a Divine Science minister and author. Murphy was born in Ireland, the son of a private boy’s school headmaster and raised a Roman Catholic. He studied for the priesthood and joined the Jesuits. In his twenties an experience with healing prayer led him to leave the Jesuits and move to the United States.